The Party of the Year Approaches at Light Speed! If there is an annual event in Reykjavik that could claim the title “party of the year” it would have to be the EVE Fanfest. Since 2003 it has has brought thousands of residents of the online universe Eve Online to Reykjavik. Like last year the 2014 event will be held at the futuristic Harpa Conference and Concert hall which is nothing short of perfect for this unique event. It will take place on 1 – 3 May 2014. DJ Margeir takes you on a wild interstellar ride. As some of you might know EVE Online is on the largest and best established massively multiplayer online role-playing game (MMORPG) with more than half a million subscribers (!). 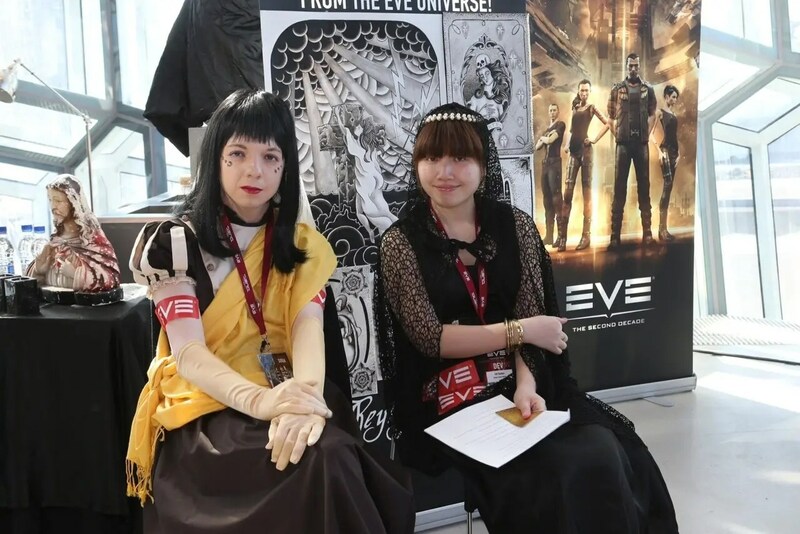 It is directly connected to a free to play first person shooter called DUST 514 for the Sony Playstation.The enthusiasm and loyalty of EVE players is world famous and is amply demonstrated at the EVE Fanfest every. Year. EVE Online fans take Reykjavik over every year. Eve Online and DUST 514 player versus player tournament. This is a change for intrepid gamers to prove their superiority to their friends. Pub crawling with developers. Spending a night with boozing with those clever people of CCP who have a formidable reputation here in Iceland for working hard and partying even harder should be epic. Sisters of EVE adventure trip for spouses. If your significant other is a die hard EVE fan and you are not, you can join an adventure trip around the beautiful Icelandic south coast on 4X4 super jeeps. The trip will include a glacier hike, extraordinary waterfalls, black beaches and a visit to a roaring geothermal power plant. Presentation and round tables. Meet the leaders of the EVE universe and get the scoop on what is coming. Charity Dinner with CEO and Devs. In 2013 this event sold out really fast so if you want to join some 200 Fanfest guests and CCP on 1 May 2014 for a great meal at the renowned Kolabrautin resturant to support the Get Well Gamers Charity make sure you book it ASAP. Blue Lagoon Hangover Party. If you have really partied hard the best remedy might be a soak in the legendary Blue Lagoon where you will, well, party some more! Golden Circle with Devs. On the 30th of April Fanfest attendees can join CCP developers for a trip with Iceland Excursions and Icelandair. The Golden Circle consists of Thingvellir, Gullfoss waterfall and the geyser field at Haukadalur. Apperantly more then 500 people joined this trip in 2013. Party at the Top of the World. This is perhaps the headline of the whole event. 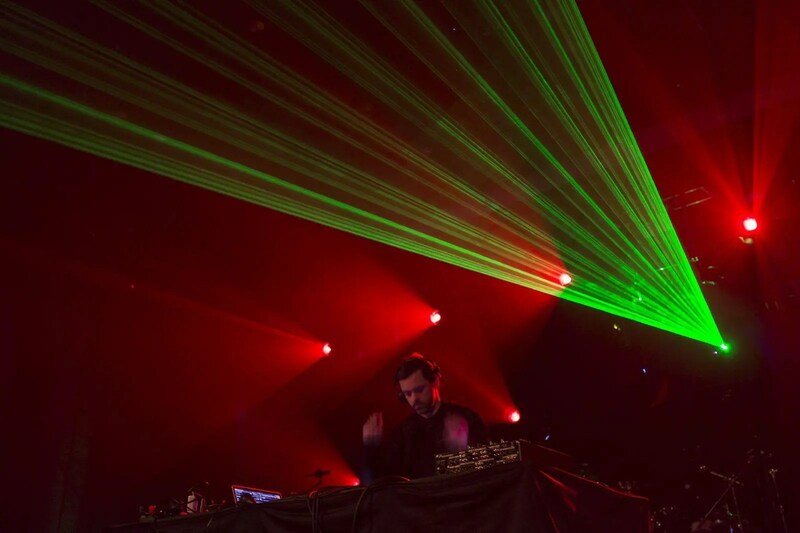 Last year it featured DJ Margeir, RealX and Z-Trip, the cover band RöXöR, the Viking metal legends of Skálmöld and the alternative pop sensation Retro Stefson. CCP is still keeping the acts for this year a tightly kept secret. Playing hard before partying hard! Go to the FanFest website to order your ticket for the 2014 EVE Fanfest.